The interplay between God's sovereignty and human responsibility is one of the most difficult aspects of theology to talk about accurately. It's also one of the most important. How can God permit evil without also being guilty of evil? If God has predetermined everything in advance, doesn't that mean He is responsible for our sinful choices? And why should we bother to do anything? Que sera, sera! But if God doesn't control everyone's choices, doesn't that mean our lives could be derailed (or even ended) by the sinful (or merely stupid) decisions of people around us? Better build stronger walls! These positions have been debated heavily and hotly by philosophers and theologians for centuries, and the debates are still active today. There are really two aspects to the ongoing controversy. First, there is the debate between determinism and libertarianism, which relate to the big picture of God's sovereignty and human responsibility in all areas of life. Then there is the debate between Calvinism and Arminianism, which focuses specifically on God's sovereignty and human responsibility in the salvation of humans from sin and God's wrath. It is a subset of the bigger debate. Pastor and seminary professor Randy Alcorn has addressed both of these debates in his new book, hand in Hand. (And no, that was not a capitalization mistake.) Although I think he made a few blunders along the way, his book points readers in the right direction. Perhaps the most noteworthy characteristic of this book is that it is irenic, not polemic. In other words, it's peaceful. Alcorn strongly tries to pull readers from both sides toward the middle, encouraging them to lay aside the invectives and assumptions they have about the other side. While clearly putting both Hyper-Calvinism and open theism outside the bounds of Christian orthodoxy, he seeks to show that mainstream Calvinism and Arminianism can both be orthodox. Alcorn also works hard to base his theology on Scripture alone, rather than a logical framework. This is why he believes only four point of the five points of Calvinism. He knows that this makes his theology less cohesive, but he prefers this to believing something he doesn't see in Scripture. I applaud his intention even while I disagree with him in his understanding of some Scriptures. I love where he says, "The best theological label is 'Berean'". Alcorn has studied this issue far more carefully than I have. So I was, frankly, surprised to find a few things that seemed like obvious errors, things that Alcorn himself may actually disagree with if he had thought about them more. 1. He attempts to find an analogies that will help explain how God's choices and human choices can both be real and meaningful. He borrows Tozer's ship analogy (pages 152-153) and Strong and Fisk's fishbowl analogy (page 178). The idea is that the ship captain controls the big picture (speed, destination, route) while the passengers have free choices within the ship (they can watch a movie, swim, eat, sleep, etc.). Similarly, the fishbowl owner controls where the bowl is placed, how many fish are in it, what food they get, but leaves the fish free to swim as they will within the limitations of the bowl. These analogies are both dangerously flawed, and I'm surprised Alcorn didn't see it. The ship captain and fishbowl owner are unable to protect their passengers and fish from every contingency. A passenger might kill another, and a fish might jump out and die. The captain and owner do not even know what the actions of the passengers and fish will be, much less have a way to bring good out of every choice the passengers and fish make. A god like this is not very comforting when tragedy strikes. In the end, we must acknowledge that we do not and cannot understand how God's sovereignty and human responsibility coexist. We just know with confidence that both do. As with the Trinity (one God, three persons), we can see and describe what the Bible teaches on the subject, but we cannot fully explain or understand it, and no analogy will prove helpful. 2. He repeats the often-asserted notion that God gave humans the ability to choose evil because otherwise we would be robots, and our love would be meaningless (pages 144-145). The obvious problem with that is that Christians will be unable to sin in heaven, yet we will not be robots and our love and worship will still be very meaningful. Alcorn asserts this very thing (pages 146-148) and yet fails to note that it contradicts what he just said. Rather than saying that God gave us the ability to choose evil so that we would not be robots, the Bible seems to indicate that God gave it to us so that He could display His incredible patience and mercy toward us when we did choose evil (Romans 9:19-24). God could have made us free, loving, non-robotic beings incapable of sin from the get-go, but He chose to make us capable of sin while on earth, so that He could display His wrath and His mercy. As I said before, man's freedom to choose evil is not God's tribute to the value of human self-determinism, but to the value of His own glory. The extra problem in this quote was the reference to God taking a risk. Only open theism teaches that God can take risks. I'm positive Alcorn doesn't believe in open theism (he spends an entire chapter in the book dismantling it) so I'm surprised he didn't catch that. 4. In his attempt to calm the warring parties, Alcorn skirts some of the stickier issues, such as particular redemption and double predestination. Thus a person new to the debate could come away thinking there is less difference between the two sides than actually exists. 5. Hand in Hand also does not discuss the ways consistent Arminians and Calvinists live differently. In other words, how do the differences in their beliefs result in differences in their behaviors? This book could lead one to think it is it all theoretical and makes little difference at street level. But especially when it comes to counseling, evangelism and prayer, the differences do have significant implications. So, with these weaknesses, why I am I still recommending this book? (Since he's a four point Calvinist, I'm going to give him a four star rating!) Mainly because there are too many angry Arminians and Cage-Stage Calvinists out there. My first few exposures to the doctrines of grace (as I prefer to call the five points of Calvinism) were mostly negative snippets from snarky Calvinists. But when I heard them explained in a peaceful way, similar to the way they are presented in this book, I realized how biblical and beautiful they are. I hope that this book will have the same effect for you. 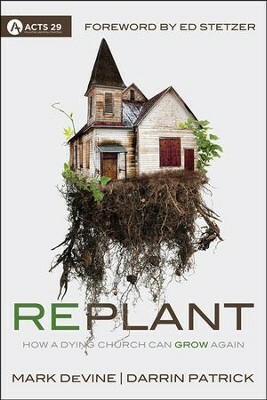 I received this book for free from WaterBrook Multnomah in exchange for an unbiased review. My Uncle's Hep C, Gone! Anyone who has been rescued from death will want to talk about it. Particularly if their words will help save the lives of others. Such is the case for my uncle. His hepatitis C, and the treatments to suppress it, nearly cost him his life. Now he is completely rid of the virus. Here’s his story, in his own words. I am an engineering graduate of Texas A & M University. I am a Viet Nam veteran who recently celebrated my 66th birthday. I enjoy travel, various volunteer activities and collecting and restoring old cars. I am not sure how I was infected with Hepatitis C but as a veteran I had mass inoculations as well as oral surgery. In 1978, I was in a nearly fatal auto accident that resulted in a lengthy stay in the hospital. My leg was repaired and during surgery I received 12 pints of blood. In 1986, I was told that I had elevated liver enzymes and that I should eschew alcohol and other drugs that mal effect the liver. Two years later, I was diagnosed with gall stones and decided to donate a pint of blood in advance of the surgery in case it was needed. After going home to recover, I received a rather startling letter, informing me that my blood was unfit and would be destroyed. My doctor then told me that I probably had non-A non-B hepatitis and that as long as I continued to abstain from alcohol there was little concern. Hepatitis C was not even codified or noted as a distinct disease until about 1990 ergo the term non A non B Hepatitis. C was not thought to be a serious or deadly disease as it sometimes took years to manifest in symptoms. In 1996 my Internist noticed that my liver enzymes had continued climbing and referred me to a Gastroenterologist who performed a biopsy that confirmed that I had Hepatitis C and Stage One scarring. Early the next year I began what became some of the hardest years of my life. I had 4 different versions of Interferon and Ribavirin treatments for seven of the next 8 years and ending in 2005. I was a responder but never cured. I weighed 145 pounds at the end of that period of time, lost my job and my spouse. After ceasing Interferon, my health rebounded but my viral load continued to climb as did my liver enzymes. My esophagus was also deteriorating and I was on a list for transplant. Fortunately, God had other plans as the last few years I was treated at BAMC in San Antonio and had kept in touch with my nurse for several years. I sent her an email in late 2011 to say Merry Christmas and learned she and her husband had returned to Texas. She was working with some of the doctors who had treated me at BAMC. They were doing clinical trials for AbbVie Labs and having success in treating Hepatitis C. I wrote back and asked if any guinea pigs were needed. Angie almost immediately wrote back and told me to come see them on Friday. That began what is nothing short of a Miracle. In one week my liver enzymes were declining and my viral load had dropped from nearly 2 million to 25. After two weeks my enzymes were in normal range and there was no virus. I had zero expectations but was encouraged by the stellar early results. At the end of treatment and after one year I was given a “cured” letter. One of the doctors who had treated me at BAMC came in with a big smile on his face, looked me in the eye and said, “You are cured”. After being mal affected from this disease, years of unsuccessful and difficult treatment, being told you are CURED is beyond words to express. It was emotional, physical and certainly Spiritual. Life is a Gift and rather than traveling a path that was based on being prepared for deteriorating health and very likely an earlier death, I have been given an opportunity to live and relish a healthier outlook than I could ever imagine. I did nothing to earn or deserve much less expect such an amazing gift but I hope that I can give back a little by testifying to the immense blessing that I have received. Friends that have known me for many years have told me that they have the old John back. I am not sure about that but I am older and I feel better than I have in many years without the bleak cloud of a deadly disease continuing to erode my being. I am stronger, less irritable, laugh more and have much joy in contemplating the future. I cannot easily verbalize my thanks and gratitude to AbbVie. This is not about me but about God's Healing Grace and the many dedicated health professionals who devoted their lives to finding a cure. I am obliged to all the people I know and the many others I never met for making me part of the cure. There is hope for those who have Hepatitis C.
If you know someone with hepatitis C, please forward this to them and encourage them to talk to their doctor. Even if they do not opt to use the AbbVie protocol (which has just now been approved by the FDA) it's important for them to get examined and treated before further liver damage is incurred. Transplants and end of life treatments can be extremely expensive, not to mention the risk of an early demise. If they would like to speak with my uncle, contact me and I will put you in touch! My parents and I were blessed recently by watching a free, online documentary about the life of 19th century British preacher Charles Spurgeon. If you know a lot about Spurgeon, you'll learn things that you didn't know. If you've never heard of him, you'll get a comprehensive overview of a man you should know, who ranks right up there with Luther, Wesley and Calvin in importance to church history. Are you saying that Catholics are not Christians? The word catholic means universal as explained in the Nicene Creed. I realized my reply to him might be of interest to others too. Here it is. Sorry for the delay getting back to you. Thanks for asking for clarification about this. You’re absolutely right that catholic is a great word and every Christian should consider himself a catholic in the sense of being part of the one universal church (all Christians from all places and all times of history). But I should have said in my note that many Baptists I run into are not truly Christian either. Many Baptist churches proclaim an emasculated gospel that basically tells people to pray a prayer and then assures them they are now Christians. (And I say that as someone who has spent the last ~10 years as a member of Baptist churches.) No matter what our particular “stripe”, we seem to all naturally gravitate away from the teachings of the Bible to the teachings of men. We want a formula, and God refuses to be reduced to a formula! I would also add that we seem to all naturally gravitate toward forms of religion that flatter our pride. Should Movies Be Used to Change Worldviews? No one will argue that wordless art can convey powerful messages. Think, for example, of Pomp and Circumstance, or Da Vinci's The Last Supper. How much more powerful then are movies, combining the power of story, music, and (an ever changing) "painting"! The Hollywood elite are very aware of the power they possess to shape culture, and they wield it with skill. They have actually created a system in which people pay them money to get brainwashed. But should Christians use film to fight back? Should Christian movies be produced to change worldviews? God could have arranged things so that Jesus was born and lived and died in a time when there were video cameras. Why did He choose to convey the story of Jesus in writing instead? Here's why I am thinking about this. A friend sent us a link to a good short movie, Crescendo. I'll try not to spoil it for you, other than to say it is designed to change minds about the topic of abortion. The movie is rather creepy (as a movie about abortion should be) so I don't recommend it for children. But (if you're not a child) have a watch now, before you read further. You might even want to watch it twice so you can catch the clever nuances of the opening conversation, which seems rather bewildering the first time through. Now that you've watched it: how would your reaction to the movie have been different if the child had been named Adolf instead? Do you see how the same medium (film) could have been used to produce an equally compelling argument in favor of abortion? Which leads to my final question. I have an answer in mind, but I want to hear your thoughts first. Since non-Christians can use film with power to "convert" people to their worldview, is it a waste of our energy and money to use film to try to convert people to ours? Should we exclusively use other means of proclamation that non-Christians are unable to duplicate? As the number of Muslims increases in America, Christians are realizing that we should reach them with friendship rather than avoid them in fear. Wheaton College has just released Journey to Jesus, a 6-session DVD curriculum about building Christ-centered relationships with Muslims. Tyndale, the publisher, was kind enough to send me a free copy in exchange for an unbiased review. See below for details on how one of you can get my copy for free! First I'll tell you about the curriculum, then I'll give you my analysis of its strengths and weaknesses. The curriculum is contained in two DVDs. (It seems that everything would have fit on one DVD, so I'm not sure why they split it onto two.) The six sessions are comprised of a dramatic video (short movie), a teaching video (like watching PowerPoint with a person's voice), and printable (PDF) teacher guides, student handouts, and bonus explanatory materials. Sessions one and two center around a young American Christian mother who befriends a shy young Egyptian Muslim mother who has just moved into her neighborhood. Sessions three and four introduce us to an American Christian man who converses with an intelligent but nominal Muslim East Indian coworker. The final two sessions depict a young Christian engaging a young, very argumentative (American?) Muslim as part of a college assignment to learn about each other's worldview. It shatters the stereotype of Muslims as terrorists and fundamentalists. It shows the great variety there is among followers of Islam. It depicts Christians displaying genuine hospitality and friendship. The 'movie' segments are very fun, and the cinematography is top class. The teaching segments contain a lot of information, conveyed clearly, accurately, and succinctly. I think the average viewer will come away from this curriculum eager to meet, befriend, and share Jesus with Muslims. Azim: The Christian idea of forgiveness, it seems far too easy to commit a wrong, ask for forgiveness, and make the same mistake again. Larry: Everybody fails, nobody’s perfect. Which means we all need forgiveness. Azim: I agree, but which is better: to ask for forgiveness or do something tangible to make up for our wrongs? Azim: We do good deeds to outweigh the bad ones, thus the world becomes a better place. Larry: I believe in good deeds too. Azim: Oh, so we believe the same thing? Larry: Well the Christian perspective is that good deeds is the humanly thing [sic] that we can do to bring the kingdom, as Jesus said, here to earth. See in the New Testament it says that faith without deeds is dead. The video teaching segments are scripts read aloud, using PowerPoint style slides. It might have kept viewer attention better if these teachings had been recordings of a real person teaching a live audience. Because the curriculum was produced by a college, all of the actors are relatively young, and the movies are designed to appeal to people in their 20s and 30s. It would have been nice if one segment had depicted older Americans reaching out to older Muslims. In short: this curriculum is a good tool for introducing young Christians to the joy of sharing Jesus with Muslims. But you will need to supplement the curriculum with outside information that explains the content of the gospel clearly and comprehensively. (Thabiti Anyabwile's The Gospel for Muslims is a good option.) Friendship evangelism is only good if evangelism actually takes place. I will give my copy for free (including postage within the US) to whomever of you can use it most. Send me an email [danielbartsch q com] to request it and tell me how you hope to use it. I'll select next Wednesday from the emails that I receive. At first I thought it sounded totally weird. But after an evening seeing it firsthand, I'm impressed. A church near my home, Beaver Creek Baptist Church, is observing the Feast of Tabernacles (aka Feast of Booths) this week. Sort of. Hopefully your theological alarm bells are already going off. There are "Torah Observant Messianic Jews" who try to do things like that nowadays, and usually wind up losing the Messiah. Then there was the heretical Worldwide Church of God (founded by Herbert Armstrong) that had as one of its tenets the keeping of Levitical feasts, including Tabernacles. But BCBC is not doing this to obey the Old Testament (or the New Testament, for that matter). It's clear that the Feast of Tabernacles is one of the shadows that was no longer necessary once the substance (Jesus) had come. (Colossians 2:16-17). Inviting members to come and camp at the church all week. Some are camping in RVs, others in tents. Preparing and sharing meals together (all three meals, every day for the week) outdoors. Lots of unscheduled, unstructured time to just talk with each other. 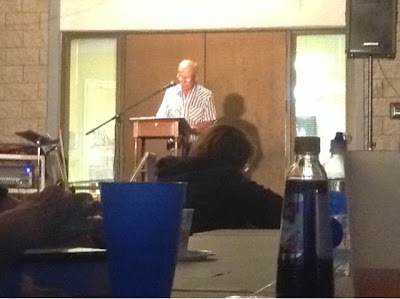 Public reading of large portions of Scripture, without commentary. About 2 hours of it each day. (An hour after lunch and an hour after supper.) Some people just come to these Bible readings. A schedule of Bible passages has been prepared in advance (by the pastor?) and people sign up to read a chunk. They have a microphone, speaker, and lights outside to facilitate this. You can't tell from the photo, but this man is actually standing outside the church, on the steps in front of the main entrance. He was one of this evening's Bible readers. A woman read Psalm 139 and 134. A man led singing of three short songs (using only a guitar). A man read Mark 8-10. Another man read Mark 11-13. A third man read Mark 14-16. About thirty people were there, sat mostly on folding steel chairs, and listened remarkably attentively to over an hour of straight Bible. Some followed along silently in their own Bibles or on their electronic devices. The reading was mostly monotone and the readers stumbled over their words frequently. But there was something strangely beautiful and compelling about this unprofessional, unadorned meeting. The only attraction was the Word of God itself. I hope more churches will experiment with this idea. Abraham is highly respected by the world's three monotheistic religions. The Bible calls him "the father of faith". And Charles Swindoll is a seasoned Bible teacher and writer. So I was sorry to find a couple major blemishes in Swindoll's new biography of the patriarch. The biggest shock was how "gospel centered" this book is not. Although Swindoll carefully covers everything from Genesis 12 to 24 as well as many New Testament references to Abraham, he manages to minimize the many parts of this story that point forward to Jesus and the cross. A modern Jew would disagree with little in this book. He missed what Paul taught in Galatians 3:17 that when God made promises to Abraham's "Seed", the Seed is Jesus. He missed the entire chapter of Hebrews 7, explaining how Melchizedek (the priest who met Abraham as he returned from conquering the kings) is a type of Jesus. He spent only four sentences mentioning that Abraham's sacrifice of Isaac pointed forward to Jesus' death on the cross (pg 203). Swindoll correctly states that Genesis 15:6 ("Abraham believed God, and it was reckoned to him as righteousness"), is "one of the most significant verses in the Bible" (pg. 57). But he only gives it five paragraphs, and doesn't mention until 3 pages later that the faith that gives righteousness must be in Jesus' work on the cross (pg. 61). 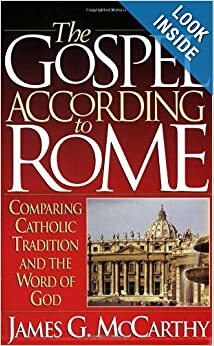 Swindoll writes with the assumption that his readers are Christians, and thus places the gospel message in the appendix. But Christians need to be "evangelized" just as often as everyone else, and the gospel is not an appendage to the story of Abraham; it is the central message. There is actually more law than gospel given in this book. 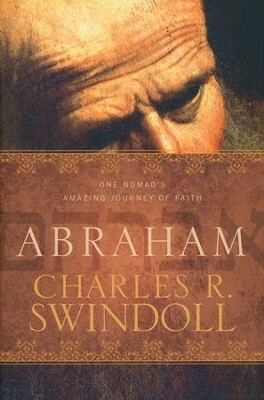 Swindoll's Abraham dwindles into a collection of good moral precepts and principles. This is not bad: we do need to heed the Bible's moral precepts, and Swindoll delivers them. He just does not explain much how we will find the power to keep them. My other, smaller critique, is that Swindoll quotes A. W. Tozer's analogy that explains the way God's sovereignty and man's responsibility interrelate. When you think about their analogy, though, it quickly breaks down (about like trying to explain the Trinity using an egg, or water). Swindoll makes clear just how unmerited God's election of idol-worshiping, lying-in-a-pinch Abram was. This makes God's graciousness shine. Swindoll writes with a pastor's tender heart. For example, he does a beautiful job using the story of Hagar to speak to today's single mothers. He does a good job blending accurate exposition with relevant application. It is God, not Abraham, who emerges as the hero of this story -- which shows that Swindoll has gotten the most important thing right. Swindoll is just a good writer! Swindoll's book is flawed. But so was Abraham. And yet God chose to use him. May He do so with this book as well. I received this book for free from Tyndale in exchange for a review. My review was not required to be positive. Someone came up with the great idea of using the same concept (sans money) to get Christians to share their testimony of how they came to know Jesus. So here's mine! Here's a link to Mom's also! As you'll see, the testimony challenge consists of three parts: one camera, 60 seconds, and 3 friends. The 60 seconds was the hardest part for me; it took me about 8 tries to get my message compact enough to fit. I tried to include the most important elements of the gospel in my testimony, because my story itself cannot save anyone, but the truths of the gospel can. Go and do likewise! How could a Bible ever deserve less than a 5-star rating? When too many of man's words are mixed in with it. Zondervan's NIV Essentials Study Bible is not a bad Bible -- there is much to commend about it and certainly you could find worse Bibles. However, there are so many other better study Bibles available (even from Zondervan!) that I cannot recommend this one. As its title suggests, Zondervan designed this one as a starter study Bible, combining (what they thought were) the best elements from 6 of their other study Bibles. Their aim was to help newbies quickly get up to speed on the fundamentals of the faith. Great idea, bad execution. The notes from the 6 study Bibles were not all of equal quality. In particular the devotions from the Great Rescue Bible are not even as good as what you'd find, say, in Our Daily Bread. Some of the rather lengthy notes pulled from the Archaelogical Study Bible are anything but essential to the faith. (A full page about the shroud of Turin?) A whole page in Jude showing a map of where the cities of Sodom were located? The notes doubt that the Genesis 1 days were 24 hours, and aren't sure that Noah's flood covered the entire earth or that Paul actually meant to prohibit women pastors. And it is lacking the most essential feature of any study Bible: marginal cross references. On the other hand, there are lots of helpful maps, character profiles, in-depth sidebar Q&A's, and a number of solidly helpful notes from the NIV Study Bible. Ironically, I think the original NIV Study Bible did a better job covering the "essentials" than the NIV Essentials Study Bible. I would recommend it or the ESV Study Bible or MacArthur Study Bible over this one. I received a copy of this Bible for free from Zondervan in exchange for writing an unbiased review. If you'll be voting in an Arizona GOP Primary this year, this message might be of help to you. Picking candidates was harder for me this time than in any previous election. Many of the candidates seem to be accused of major scandals. Nevertheless, here are the people for whom I cast my vote. Today my heart was captured by a two minute CNN video of Yezidis being rescued off Mount Sinjar. Then I remembered that these dear people face an even greater enemy than ISIS: God. The Yezidis believe in a false god, a god who tested his angels by commanding them to do something that violated a previous command. One angel somehow figured out that he should obey the first command and disobey the second command, and was rewarded with rulership over the earth. The Yezidis now worship this angel. The Bible calls this (and worship of any other false god) idolatry. And ironically, ISIS also calls it idolatry and has determined to exterminate as many Yezidis as they can. The Bible would call that murder! 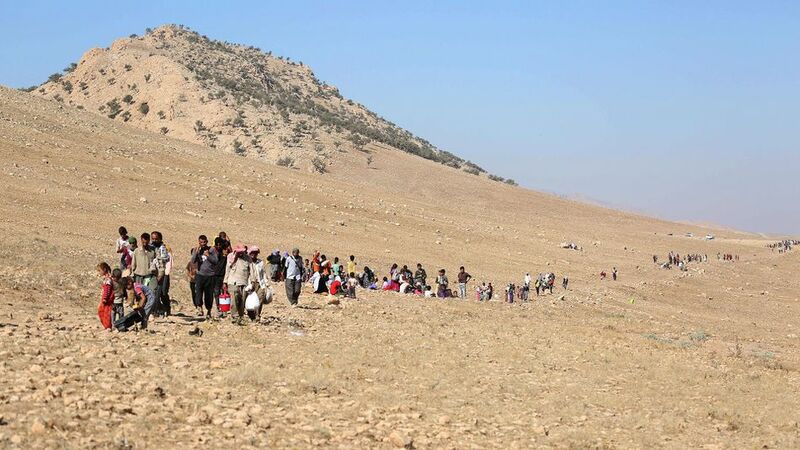 But if the Yezidis continue to reject the true God who made them and who made a way for them to be forgiven by the death of an innocent Substitute, they will face an fate far worse than ISIS. There are no rescue helicopters from hell. If journalists can risk their lives to get photos, why can't Christians risk their lives to preach Jesus to the Yezidis? Last fall I tried to start a weekly Bible study in my neighborhood. I went door to door distributing invitations. It pretty much flopped after one week. But then a friend pestered me for a couple months to try again. I did, with a change. Instead of using professional curriculum, I decided to just start at the beginning of Mark and work our way through the text of his gospel in order. The Lord has blessed our weekly Saturday night gatherings. We are small, but it seems like people are growing. And of course it makes me grow! Some Christians are good at evangelism. Some love to pray. Some are good at hospitality. And some are good at teaching the Bible. (And of course, some people are multi-talented.) If these people could be found and linked in each neighborhood, they could work together to form and fill small home Bible studies. I would love to see the little work we are doing multiply in neighborhoods everywhere. Pray about that, OK? And if you live in the Verde Valley and would like to see a Bible study started in your neighborhood, contact me! Recently I have been startled by studying the teaching methods of Jesus. Why are they so different from what we typically think of when we say "teach"? How would the message of Jesus have been subverted if His methods were more like ours? Commands. These constantly brought His followers to a point of choice about whether they would continue to follow Him; they could not remain undecided. Study the gospels to see how many times Jesus spoke commands! Questions. What are the benefits of using questions in teaching, and how did Jesus use them differently than Socrates? Stories. I find that stories stick in my mind much longer than prose, don't you? And when I tell Bible stories during evangelism conversations, they form such a helpful framework around which to teach important truths! Traveling. Rather than establishing a school in one location, Jesus traveled widely to make it easier for many people to hear Him. This also meant that the people who wanted to hear Him more had to... follow Him! For more detail on this, go here. Analogies, illustrations, similes, and metaphors. If stories are like paintings, analogies are shafts of sunlight to illumine the subject. Brevity. The Sermon on the Mount is only 15 minutes long. Difficulty. Jesus was sometimes deliberately obfuscatory. Shock talk. Jesus wasn't joking--or putting anyone to sleep--when he talked of cutting off hands, swallowing camels, escaping hellfire, or giving everything to the poor. If you haven't noticed this, you have a log in your eye. Tangible. Why use a blackboard when you can touch a coin, a fig tree, a mustard seed, a child? Authority. The MacArthur Study Bible, commenting on Matthew 7:29, says "The scribes quoted others to establish the authority of their teachings; Jesus was his own authority". Repetition. That's right, He said important things multiple times. He didn't mind saying things more than once to make sure His listeners "got it". Demonstration. Jesus lived everything He taught. I'll have to show you how this one works. Supervised delegation. Go explain these methods to someone else (using your own words) and let me know how it goes! In-the-moment. This one would be better explained over lunch. When can we get together? What other methods can you identify in Jesus' teaching? This is a true story about the danger of assumptions. So if you're going to read this, please read it all. Don't assume that you know how this story will end! The video and audio teachings by Todd Friel and the team at Wretched have been a great blessing to me. I thought I would make a donation to help further their ministry. Then I learned that they are a for-profit company so donations are not deductible. That didn't bother me too much. I can see how being non-profit could hinder their effectiveness. The name of the parent company behind Wretched is Burning Bush Communications. A quick Google search showed me that a man named Chuck Bush owns Burning Bush Communications. According to the Wikipedia article, Chuck Bush seems to be a wealthy financier behind various film and TV products, focusing currently on producing 'non-toxic' films and programs. No indication that he's a Christian, just a shrewd businessman. That turned me off. Not to Wretched, but to the idea of donating. I didn't like the idea of giving money to help some rich guy who was using Wretched as part of his 'non-toxic' media portfolio. And I found it puzzling that a brother as seemingly conscientious as Todd Friel would be a financial bedfellow with someone like Chuck Bush. Months went by and finally I decided to email Wretched and ask about this. I was afraid they would be offended and write back to say, "Why are you judging our motives? Chuck Bush is a fine Christian man!" Twelve minutes after I sent my email, Todd Friel wrote back from his iPhone. I don't have any idea who Chuck Bush is! My best guess is that he might be related to George. Otherwise Chuck Bush has nothing to do w us. It turns out that there are two Burning Bush Communications that are completely unrelated. They both happen to be involved in producing video-based programming. But that's where the connection ends. I sent Wretched a donation immediately. I wonder how many other wrong assumptions I have made about people? It's better to ask the difficult questions than go on in assumed estrangement. A friend gave me a copy of some evangelistic tracts called Father's Love Letter. You can read it online at FathersLoveLetter.com. Here is what I wrote him. I finally took time to read it carefully today. I could give it to a person who is already a believer, but I would not want to give it to a person who is not yet a Christian. One day I will wipe away every tear from your eyes. And I’ll take away all the pain you have suffered on this earth. It’s a bummer to have to criticize this tract so sharply because there are a lot of good and true statements in it. But I believe that putting it in the hands of unbelievers will do more harm than good. The good news is that Ray Comfort has produced a documentary about Noah to coincide with the release of Hollywood's. Turn Hollywood's attack into an opportunity to spread the gospel! Do Kids Still Need Math? Perhaps there are some little boys out there who like money but hate math. Maybe they think that because we have computers now we don't need to know how to add and subtract. Maybe this letter I had to write one of my (very computerized and normally flawless) suppliers tonight will help encourage them. I'm reaping the rewards of having parents who loved math and loved teaching it to me. Thank you for the great work you do keeping me apprized of the charges on my account. I wish all my suppliers had their accounting data so easy to access and understand. Recently you issued a large refund to my credit card for some credits that had been accumulating over the last few months. You also included a separate sheet explaining that you had accidentally refunded some charges in error – they were already paid – so you charged me again for these amounts. You were correct that I had already paid these charges, but you were incorrect to then charge me again for them; the amounts of the invoices had already been deducted from my large refund, so actually you should have refunded them to me. I have to kind of stand on my head and then do a somersault to understand this, but let’s see if I can explain to you how you have charged me three times for these two invoices. Invoice 1615744.001 was deducted from my refund on 3/13/14 for $78.25. In other words, my refund would have been $1078.69, but these two invoices lowered the refund to $953.19. So in effect, you charged me for these two invoices. Invoice 1615744.001 was charged to my card on 3/14/14 for $78.25. But instead of refunding $125.50 to my card, you charged my card $125.50. So now I have paid three times, and I need you to refund two of the times (a total of $251.00) to my card. I hope this makes sense. Let me know if you have any questions. Devotional books for Christians are plentiful, but unfortunately most of them are like Little Debbies. Someone has said, "Sermonettes are for Christianettes" and a lot of devotionals are very light sermonettes. But recently I came across two devotional books that are more like buffalo stix. Their authors have struck that rare combination of depth and brevity. These media tend to shorten attention spans, weaken discursive reasoning, lure people away from Scripture and prayer, disembody relationships, feed the fires of narcissism, cater to the craving for attention, fill the world with drivel, shrink the soul’s capacity for greatness, and make us second-handers who comment on life when we ought to be living it. How is God's passion for His glory not selfishness? What is the place of confrontation in marriage? If you can be Godly and wrong, does truth matter? What makes an enjoyment idolatrous? Why require unregenerate children to act like they're good? If God wills disease, why should we try to eradicate it? 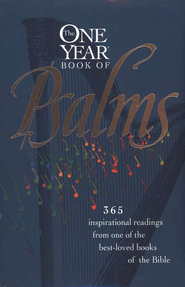 The One Year Book of Psalms contains, as you might guess, a devotional for every day of the year, taking the reader not only through the book of Psalms but through several other key poetic passages of the Bible as well. Many of the devotionals lead you to other parts of the Bible that relate to the Psalm you are studying. But this book's greatest selling point is how it ties the Psalms in to post-biblical historical moments and figures who relied on those Psalms. Sometimes we forget that we are not the first people to puzzle over, pray over, or praise over the psalter. You'll learn why Alexander Duff preached from Psalm 107, why Psalm 50:16 smote Origen, why the church in Antioch sang Psalm 97, and which Psalm strengthened Spurgeon during a cholera epidemic. Each devotional also closes with a verse from a related hymn. Compared with A Godward Heart, The One Year Book of Psalms has shorter, fluffier devotionals which require less thinking and make less impact. But unlike A Godward Heart which deals with random topics, The One Year Book of Psalms takes you through an entire book of the Bible and illumines many other sections of the Bible. When you are hungry for some spiritual meat but don't have the strength to read something long, you might add these two books to your menu. I received both books for free from their publishers. My reviews were not required to be positive.